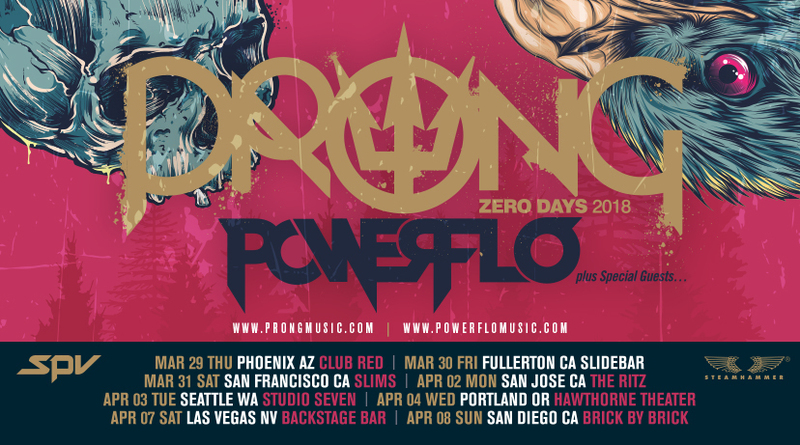 American Power Trio PRONG has announced the continuation of their ZERO DAYS TOUR with a series of West Coast dates alongside POWERFLO. After a solid year of touring with the likes of Testament, Obituary, Sepultura, and Exodus, as well as filling key slots on the European Summer Festival Circuit, the band now brings it back home to the states, including a highly coveted, co-headlining run with HELMET. Pioneers of the alternative metal genre, PRONG have continued to re-invent themselves by challenging the status quo every step they take, as seen on their 2017 release, Zero Days. Distilling hip-hop, heavy metal, punk, and rock into a potent sonic strain, POWERFLO lives up to its name. The vision of GRAMMY Award-nominated Cypress Hill spitter Sen Dog, downset. 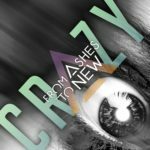 guitarist Rogelio “Ray” Lozano, Biohazard vocalist and guitarist Billy Graziadei and ex-Fear Factory bassist Cristian Olde Wolbers, the band draws on the powerhouse pedigree to collectively smash boundaries with their 2017 self-titled debut.